And the gobsmacking footage of his performance in Newcastle a couple of days later, included entire on the No Direction Home DVD, proves no less maelstromic. Here we can see he is visibly speeding out of his brains and probably more than a little miffed that the Mr. Jones puffing on his pipe in the front row thinks he’s attending a poetry recital. I don’t know the basis for the assertion by Clinton Heylin that this performance dates from 21st May 1966 in Newcastle, England. I am however certain that if it is all of one piece, viz that the rush to the car is on the same evening as the performance, then the attribution is wrong. My suggestion would be a one day earlier, Friday 20th May in Edinburgh. One circumstantial piece of evidence to support Edinburgh is the fact that some of the shots are definitely from a cameraman located on stage. 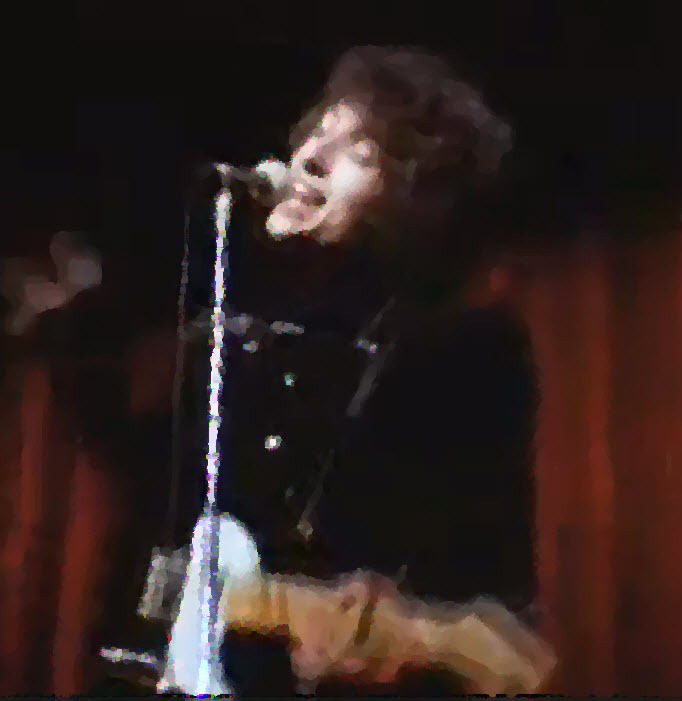 In the press reviews of the Edinburgh show, one journalist at least complained that Mr Dylan showed his disdain for his audience by turning his back on the audience and playing to the cameras which were filming the show! The conclusive proof that the trip to the limousine was not in Newcastle, or anywhere in England, lasts for barely 2 seconds at 8:33 on the video. It shows a policeman. But a Scottish policeman and not an English policeman, because the diced band, sometimes known locally as “Sillitoe tartan”on his police cap was at the time standard in Scotland but was not introduced into English police forces until some 6 or 7 years later. So the film is either from Glasgow or Edinburgh and I have stated why I opt for the latter, since I am certain that the cameras did not intrude on stage at any point in Glasgow.. Someday.. Maybe.. We’ll know for certain. Trying to find words to express how good this really is. I’ll have to get back to you on that. Superb can watch this over and over!! Just like the Blind Willie video for Martin S contained in your emails. Please please just leave it there so I can keep watching? Please? Rock and Roll at it’s best.